Activate a live Social Wall for your event app to mirror the recent posts from the activity stream on a large screen. 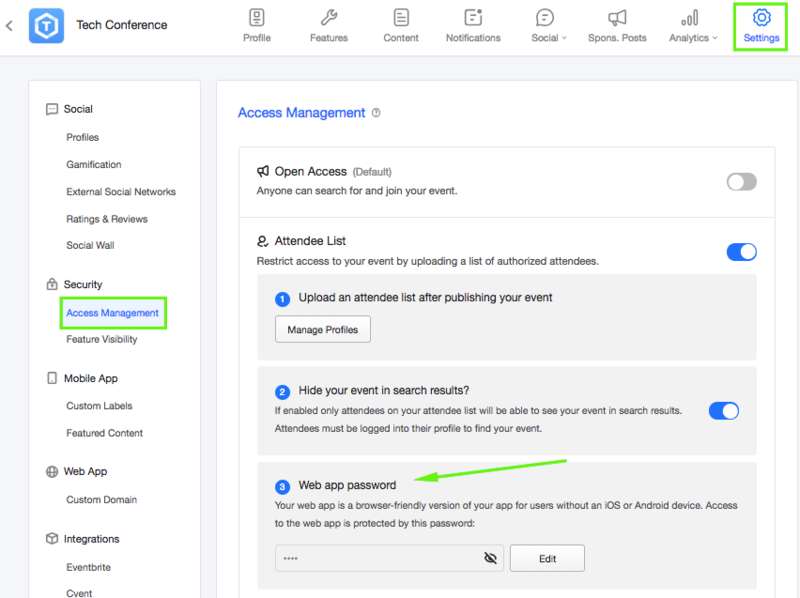 This is a premium feature designed to display social interactions from your event app's Activity Stream on a big screen or display. Here’s an interactive demo that you can see to get an idea of how it works. 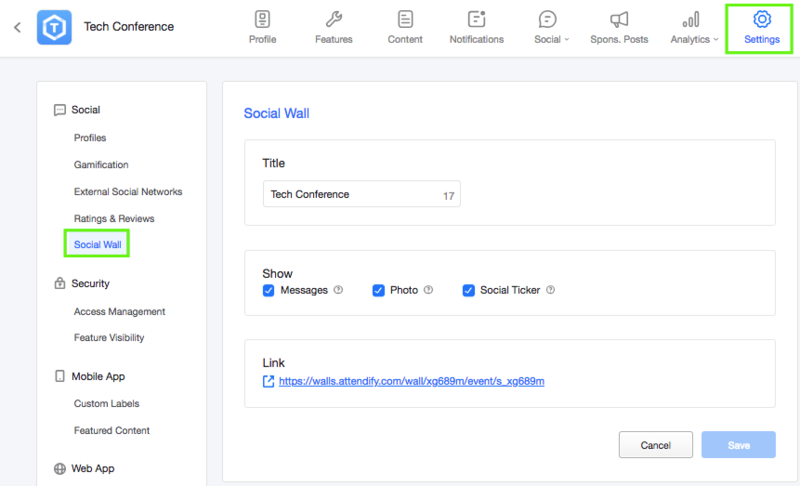 Please note: Social Wall is an additional feature and if you don't purchase it, users will be able to post messages and photos to the Activity Stream anyway. All the messages, photos, likes and comments are reflected in a nice and clean way, as they are automatically formatted to fit your screen. The Social Wall reflects only content posted to the Activity Stream by users, so Quick Polls and Sponsored Posts will not be shown there. Social Ticker: all likes and comments will be mentioned at the bottom of the screen. If you have restricted access enabled for your app you'll be prompted to enter the Access Code when opening the Social Wall. This is the password your Web App is protected with. If you have any questions about this feel free to reach out to us at support@attendify.com or chat with us on any Attendify webpage.